Fashion is an actual concept not only for women but also for men. To be stylish and fashionable is the desire of every man. In men fashion 2018 will lead functionality and practicality. Let’s see what menswear trends 2018 are in fashion. A draped man’s coat will be in the trend of men fashion 2018. The coat will ideally emphasize the dignity and attractiveness of the image if you correctly select drape model. The drape is simply universal. The coat will serve its owner long and faithful service with proper care. The most stylish coats of drape look elegant with fur inserts, collars, or cuffs. 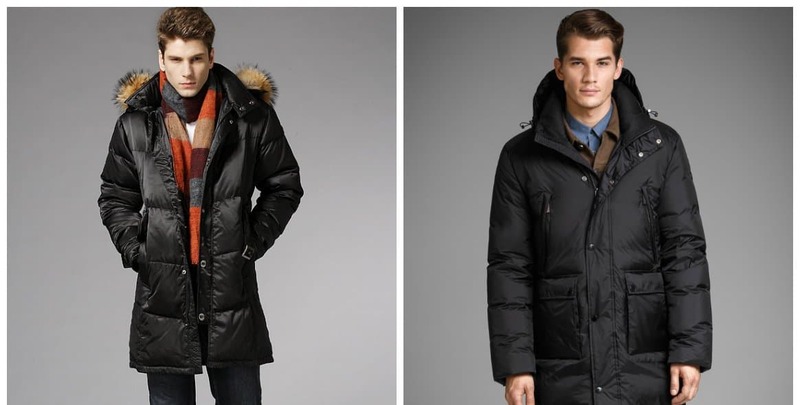 If you want to know more about men’s winter coats 2018, go to the following link. 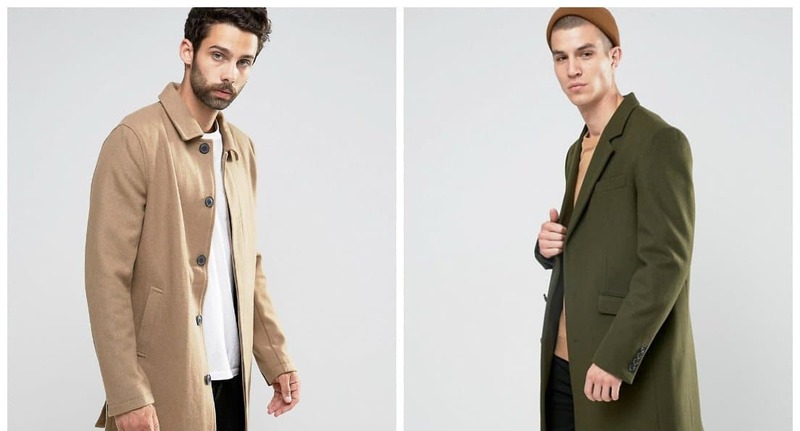 Feather men’s coats are also a stylish trend of mens clothes 2018. This option is very practical. Preference should be given to elongated styles for tall men. Coats of no less than knee length are best for men of medium height. This coat has a variety of variations in cuts and styles. Especially popular are the coat of direct cut or fitted models. In addition, the coat can be smooth or quilted. The choice depends on you and your taste preferences. We’ve talked about mens jeans 2018 in our article. Let’s talk about pants trends. The bananas style is free-cut trousers, assembled below on the elastic band. The extravagant and freestyle is very popular with young people. It’s extremely comfortable pants not only for a long stay in nature or outdoor sports games but for everyday use. The bananas style is also in the trend of mens clothes 2018. Hooligans are a variety of trousers with oblique and spacious, slightly bulky side pockets. They are characterized by a classic freestyle. Hooligans can be from a denim fabric, and from usual cotton or viscose. Jumper with hood gives complete freedom of movement for the man. This jumper will help you create a modern image for every day. A cardigan with a cutout similar to the letter V is stylish. This model will suit with almost any wardrobe garment. You can wear this jumper with or without a shirt. It will look stylish with a tie and trousers, so you can safely supplement your business image with a jumper. Leather and lacquer materials again return to the podium. They have a warming layer of fur or synthetics. Warm variations on the theme of the biker’s leather jacket with metal buttons and straps are in the youth fashion. Mature men should choose from elongated types, resembling jackets or vintage sheepskin coats, which will emphasize the status and give solidity. You can get more information in our mens jackets 2018 article. Follow the link if you interested. Jackets with fur are again in menswear trends 2018. In addition to the usual design of the collar or the bar in front, stylish products have wide inserts of fur with a long nap on the back, front shelves. Designers select original natural drawings on skins. Most often there is a combination of skin or suede, which looks very brutal. Jackets with patches are also in men fashion 2018. Choose similar models with matching colors in the patch and trim the edge of the pocket for a more organic and solemn bow. This model of pullover perfectly emphasizes the figure, since it is specially made to fit perfectly on the body, emphasizing all its advantages and disadvantages. Therefore, pullovers are only for men with an ideal inflated figure. Agree, not very beautiful look beer belly and skinny hands, peeping from under the pullover. Sweater with a small cut is in mens clothes 2018 trend. The whole collar is round and only a small incision is present in front. Thanks to him, the chin is emphasized and the face acquires more masculine features. It does not fit under a shirt with a tie because the cut for them will be too small. You can wear it on the naked body. Most of all, this type of sweater love men in good physical shape, as it helps to demonstrate their developed musculature. First and foremost, jeans are associated with blue. Darker shades are chosen for classic trousers. The dark blue suit became the perfect embodiment of office fashion and an alternative to a too-tight black suit. Blue pants, in addition to the jacket, look elegant with shirts and sweaters in beige and gray-blue scales which are in men fashion 2018 trend. The shades of brown and beige are modish colors of menswear trends 2018. In addition, popular chocolate and coffee tones are in fashion. The brown color is quite versatile, and trousers from fabrics of this color are as widespread as black or gray. Gray trousers fit almost everything. Dark, black or blue shirts and sweaters, and light or saturated colors look perfectly with gray trousers or jeans. Straight or slightly narrowed styles of men’s trousers are preferred. Red is the most vivid and ambiguous shade, which suits only self-confident men. It’s suitable for the evening image, as well as for sports suits. The dirtiest scarlet shade is one of most popular in menswear trends 2018. If you decide to purchase a business set of purple shade, then give preference to the darkest colors. Only in this case purple will make the product more colorful and elegant.